A calendar listing the main library's hours of operation. - Sunday from 9 am to 3:45 am. headphones, CDs, DVDs, cameras, and other library items. 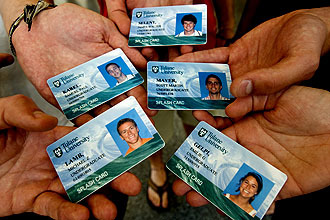 Undergraduates have $25 of print credit each semester on their Splash Cards. Printing costs are 10 cents for single sided and 10 cents for double-sided printing. 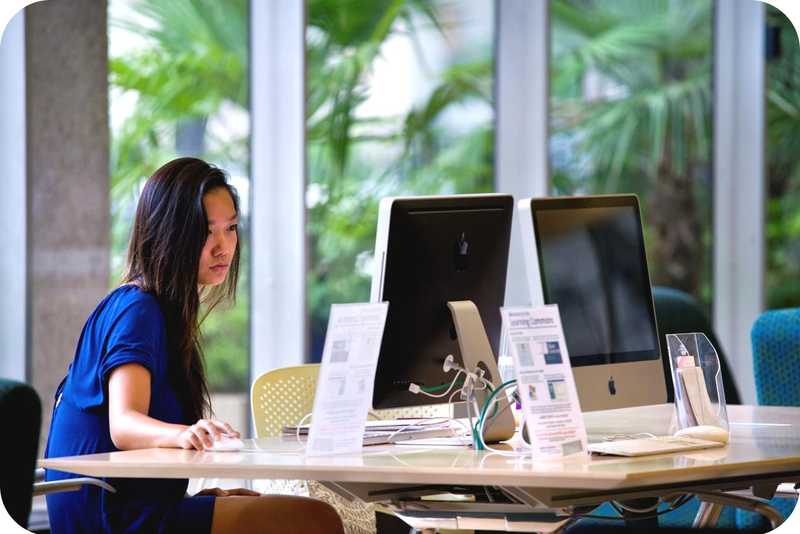 Library information, services, and spaces specifically for undergraduate students. These are webages that group together research resources, such as databases and journals, on a particular topic or subject. If your student needs to write a paper for an anthropology class and has no idea where to look for scholarly information, go to the Anthropology Research Guide to get started. Links to Chat with a librarian, information about the Research Help Desk, etc. Online tutorials about research and information concepts. Make an appointment with a librarian to get personalized assistance with a research project or paper. The library has 113 computers, both PCs and iMacs, for students to use. Specialized software, including statistical software packages SPSS and SAS, and digital video production software, iMovie, are included on the computers. There are a dozen scanners in the library. Printers are located on the 1st, 3rd, and 6th floors. of the library and in the lobbies of the other floors.